Scott Rogers with Grace Hedgepeth. The Richard Leach General Scholarships are for two (2) or four (4) year programs in any chosen area. The purpose of the general scholarship is to assist a firefighter, and/or a child of an active, retired, or deceased firefighter in achieving an educational degree from and accredited college or university. The applicant must be a senior who will graduate from high school in the same year in which their applications are submitted or have graduated prior to the application year. Either the applicant or the applicant’s firefighter parent must have been a firefighter in good standing with a member department for the twelve-month period prior to the date of application for the scholarship unless the parent is retired or deceased. If the applicant’s parent is a retired or deceased firefighter, the parent must have been a member in good standing of the department for at least twelve months prior to the firefighter’s death or retirement. General Scholarships will be awarded based on intellectual ability, financial need, character and promise of future contribution to North Carolina and our Nation. ALEX STANLAND GENERAL SCHOLARSHIP IN THE AMOUNT OF $1,500. Added in July of 2018, the Alex Stanland General Scholarships are for two (2) or four (4) year programs in any chosen area. The purpose of the general scholarship is to assist a firefighter, and/or a child of an active, retired, or deceased firefighter in achieving an educational degree from and accredited college or university. The applicant must be a senior who will graduate from high school in the same year in which their applications are submitted or have graduated prior to the application year. Either the applicant or the applicant’s firefighter parent must have been a firefighter in good standing with a member department for the twelve-month period prior to the date of application for the scholarship unless the parent is retired or deceased. If the applicant’s parent is a retired or deceased firefighter, the parent must have been a member in good standing of the department for at least twelve months prior to the firefighter’s death or retirement. General Scholarships will be awarded based on intellectual ability, financial need, character and promise of future contribution to North Carolina and our Nation. ERNIE BRYANT GENERAL SCHOLARSHIP IN THE AMOUNT OF $1,500. The Ernie Bryant General Scholarships are for two (2) or four (4) year programs in any chosen area. The purpose of the general scholarship is to assist a firefighter, and/or a child of an active, retired, or deceased firefighter in achieving an educational degree from and accredited college or university. The applicant must be a senior who will graduate from high school in the same year in which their applications are submitted or have graduated prior to the application year. 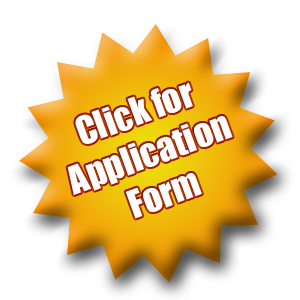 Either the applicant or the applicant’s firefighter parent must have been a firefighter in good standing with a member department for the twelve-month period prior to the date of application for the scholarship unless the parent is retired or deceased. If the applicant’s parent is a retired or deceased firefighter, the parent must have been a member in good standing of the department for at least twelve months prior to the firefighter’s death or retirement. General Scholarships will be awarded based on intellectual ability, financial need, character and promise of future contribution to North Carolina and our Nation. AUBREY RIVENBARK EMERGENCY SERVICES CURRICULUM BASED SCHOLARSHIP FOR $1,500. This Scholarship is for a two (2) or four (4) year Emergency Services Curriculum based programs only. The scholarship is given to an active firefighter, regardless of age, who is seeking an emergency services related degree from an accredited college or university. The Emergency Services degrees are defined as Fire Protection, Fire Sciences, Emergency Management, or Emergency Medical Sciences. The applicant must have been a firefighter, rescue member, or EMS member in good standing with a member department for the twelve-month period immediately preceding the date of application for the scholarship. GLENN JERNIGAN EMERGENCY SERVICES CURRICULUM BASED SCHOLARSHIP FOR $1,500. This Scholarship is for a two (2) or four (4) year Emergency Services Curriculum based programs only. The scholarship is given to an active firefighter, regardless of age, who is seeking an emergency services related degree from an accredited college or university. The Emergency Services degrees are defined as Fire Protection, Fire Sciences, Emergency Management, or Emergency Medical Sciences. The applicant must have been a firefighter, rescue member, or EMS member in good standing with an ECFA member department for the twelve-month period immediately preceding the date of application for the scholarship. The applications are offered to firefighters or children of firefighters who are graduates or graduating seniors of a high school during the application year. (with the exception of the Rivenbark and Jernigan scholarships) Your fire department must be a member of the Eastern Association and NC State Firefighters’ Association. Please be mindful that this scholarship application packet is in addition to the packet received from North Carolina State Firemen’s Association and comes from your Eastern Carolina Firefighters Association. For questions, please email Scholarship Chairman Ed Weigl, or call (252) 229-9018. The Association offers the Elwood Inscoe grant that will help an underfunded ECFA member department attend the annual South Atlantic Fire Rescue Expo (SAFRE) in Raleigh. Grant funds are used to offset the expense of lodging, registration and other associated expenses that may be an obstacle to some departments in being able to attend this valuable conference. The scholarship committee must receive the completed application no later than May 1st each year. Up to two grants may be available. Congratulations to the 2018 recipients Hobgood VFD and Weeksville VFD. We look forward to seeing you in Raleigh! Thank you for allowing your Eastern Carolina Firefighters Association to serve you.